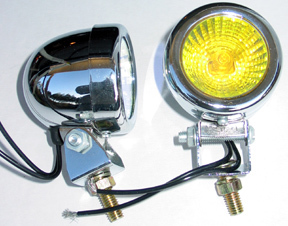 Mini chrome bullet style Fog/Driving light is the smallest way to add light to your machine. Uses 35 watt halogen bulb for bright light. So small, can be mounted on handle bars, in vents, anywhere you need a little more light.